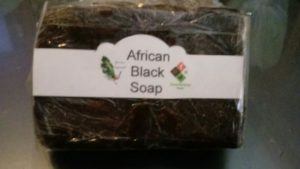 Short Product Description: Handmade Pine Tar Soap. 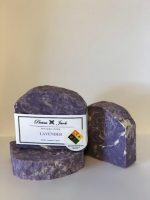 Key ingredients consist of carrier oils, shea butter, pine tar, and essential oils. Our Pine Tar Soap is handmade using the hot process method with saponified oils of castor, olive, coconut, and sustainable palm, shea butter, avocado oil, aloe vera, coconut milk, sea salt, sodium lactate, sugar, maple syrup, yogurt, tussah silk, essential oils, and vitamin E.